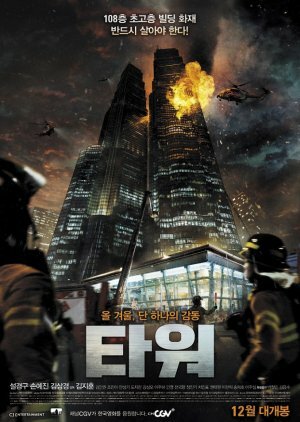 I was expecting just another typical disaster movie, but The Tower surprised me in the best possibly way. While the plot itself is nothing new, the execution was IMO brilliant. In movies of this type, the initial character setup and relationships makes the beginning of the movie drag. The Tower had just the right amount of setup at just the right pace. Sol Kyung Gu is one of my favorite actors, and he did not disappoint! Kim Sang Kyung and Son Ye Jin gave excellent performances, as well. Jo Min Ah was perfect as Lee Dae Ho’s daughter. I look forward to seeing her grow as an actor. The special effects were awesome, and the pyrotechnics were extremely well done. The music matched the mood of each scene perfectly. I don't usually rewatch a movie of this genre, but I might make an exception for this one.